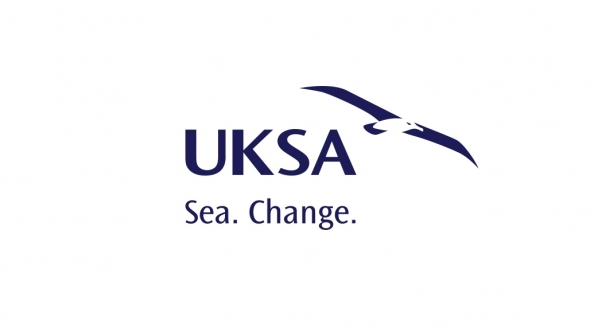 UKSA is a charity that believes in harnessing the power of the sea to make a positive difference. We offer the very best professional maritime training courses alongside youth development programmes to transform young people’s lives. As a charity, the funds raised from our donors, sponsors and professional training courses help enhance the lives of the 10,000 individuals we welcome every year. Our flagship Superyacht Cadetship offers a unique opportunity and an excellent alternative to university, designed to train future officers of the superyacht industry. We are passionate about launching thousands of careers and turning lives around every day. · the installation of wheelchair access to the sports hall. The addition of a sports hall, climbing wall and gym to UKSA’s existing indoor swimming pool will benefit both UKSA’s students and the wider community. Part of the new centre will be used as a Superyacht Galley – a learning area to support courses such as the Superyacht Interior Foundation. The majority of work should be completed within 6 months. This exciting activity, which will support our vision of excellence, is being delivered in conjunction with our investment in other training assets. During 2017/18, we undertook a strategic review of our yachting programme, aligning it to our vision of ‘widening access to maritime training, enhancing life skills and employment within the sector’. The outcome was a decision to invest in a matched fleet to support our ongoing mission to deliver excellence in maritime training – this investment allows our students a smooth transition from training to employment. In September we purchased four Jeanneau 449s. The Jeanneau Sun Odyssey 449 offers great flexibility for accommodating mixed-gender crews and reduces issues with taking under 18s as there is a berth for each individual – this is critical for attracting women into the industry. The yacht offers greater teaching and living space in the cockpit and saloon areas, a feature that skippers and students prefer. Also, the 449 offers a superior sailing performance. “We want our students to work on the very best boats so they are fully equipped with all the skills they need to excel in their careers,” said Ben Willows, CEO at UKSA. Our Capital Investment Programme, which will take place over the next three to four years, will rationalise and remodel the whole site into flexible, modular accommodation, enabling more people to stay at UKSA. We will also be able to train professional clients, youth groups and young apprentices simultaneously. Leaders have stepped up to deliver a fundraising campaign that will enable them to activate the plans. The first milestone in the delivery of the programme is the construction of a new accommodation and training facility, beginning in winter 2019.